In last year's Capital City Clash, with the CCAA regular season championship on the line, the Seawolves pulled out a dramatic, come from behind 10-7 win. 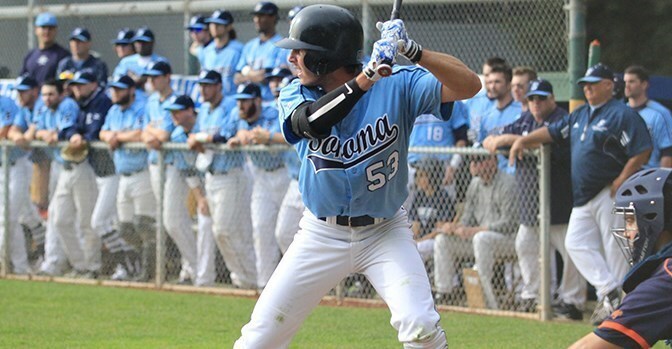 Over the past 38 years, Sonoma State has an 81-94 record against Chico State in baseball, including splitting this year's series, 2-2. With the loss, Sonoma State falls to 2-6 in CCAA play and 5-9 overall. The Wildcats improve to 5-2 in conference play and 6-4 overall. The Clash series is now 2-2 between the two squads. The 11,000-seat Raley Field is located adjacent to the Sacramento River. The River Cats, a former affiliate of the Oakland Athletics, announced their minor league agreement with the 2014 world champion San Francisco Giants this September. Many notable Major League Baseball players have played at Raley Field since the park's opening in 2000, including former Giants and A's pitcher Barry Zito, former A's and current Cleveland Indians player Nick Swisher and current Los Angeles Dodgers players Mark Ellis and Andre Ethier, both of whom have been part of the A's organization throughout their baseball careers.